Getting an accurate quotation for your requirements can be quite a task. The accuracy of the quotation that you receive depends on how accurately your requirements are presented. This could mean that the quotation could be overpriced or under-priced (in which event the project could be aborted mid-way). Writing an RFP or Request for Proposal is not a rocket science. It all boils down to how well you have outlined the scope of work. While creating a website, there are so many facets that takes place before the actual project. Pre-planning, vendor selection are also equally important just like design and development. However, before undertaking vendor selection, providing a Request For Proposal (RFP) is immensely important. Writing this document is a tedious task, but it clarifies your goals and gives a better insight to the vendor to come up with accurate estimate and a time schedule. However, there are some RFPs that do not see the light because of their poor presentation and lack of information. So, I thought why not guide you with the creating process of an RFP. I hope these tips help you to churn out a proposal that will lead you to better working relationships and eventually to better projects and outcomes. Extremely important while coming up with an RFP. You need to clearly give a brief overview about your company. This will be then followed by the details of the project and a very clear description. While mentioning all this, do acknowledge that, what capabilities your website should boast of? Mention your pain points and the importance of website to deal with these obstacles. Moreover, with this overview, do mention your budget, deadlines, requirements and milestones that a vendor should consider. Defining your goals is very important and for that it is extremely important that you carry out a research. Figure out what you need, what your project is going to be, what are the possibilities and how a website can achieve all these goals? If you had designed a website in the past or have an existing website then, do mention its loopholes (if any) or analytics – whether it gave you great outputs or no. Try and give as much as clarification – as to why you need to undertake all this? Most importantly, don’t come up with solutions, rather let your vendor explore his creative streak. You want to discover the expertise of the vendor’s website designing skills, so let him just unleash. Very crucial while coming up with a website. You need to find out – who you are going to target on a pronto basis? Moreover, carry out a research that, whether your audiences are going to be tech-savvy? If yes, then you need to choose a vendor likewise. Sometimes, there could be deflected results because the audience that you are thinking of targeting with your website might differ than your wider market. So, it’s very important to have a specific audience, thus making the development team’s job much easier. Also, do consider about global target market and be extremely upfront about specific actions that you want your users to take – could be registration, signing up for a newsletter, etc. You have to guide the vendor with the designing part of your website, then it could be – colour, logo designing, visual elements – slider, etc. Moreover, if you have any design in mind that is showcased on some other website then do give the references as it will be easier to know your requirements in-depth. Above all, photos play a vital role while designing a website. So, you need to be clear while uploading photos – are you going to have your personal photographer or are you going to opt for stock photography? Also, while you are into designing phase, you might need a ‘Coming Soon’ page, so mention all the guidelines for that too. Sitemap is a tool that helps in organizing your content and eliminating unnecessary pages for your website. Visual representation is a requisite, however content organization, reflects how well you’ve designed your website sections and navigation diagram. How you intend to provide the content, what type of content you are eyeing for (audio, video, photos, etc. ), how many web pages you are considering – are some of the areas you need to crucially concentrate. Above all, do mention how you want your content to be updated – what would be the time-intervals for updating the website, will you be targeting specific sections for updates and are you going to update it yourself? 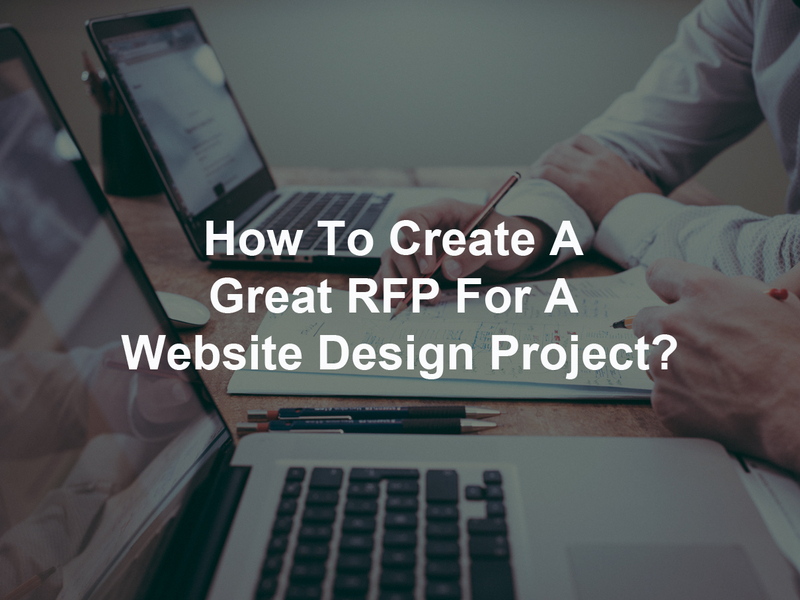 This section can be one of the longest section of your RFP because there are so many facets. There’s hosting, website maintenance, database access, coding language that you want to use, browser compatibility, domain registration, mobile responsive design, any legacy browser support, web integrations, etc. Moreover, you might also like to highlight if you want to start an e-commerce platform, want any particular Content Management System (CMS) like WordPress, any third-party applications that you are looking forward to integrating with your site or Google Analytics, etc. I know it’s daunting to mention all these technicalities but it becomes easier while working on an estimate. Usually, the ones who come up with RFP, lead the project. If not, then there’s a dedicated team who handles the project and if you have this scenario, then do mention the point of contact. Apart from this, you might have a final authority or a hierarchy to showcase and finalise the design, so mention likewise. Clear your role in the project, as it will be easier to boost communication. Most importantly, if you are going to conduct online/offline meetings, on a monthly/weekly basis – then mention that too because that helps the vendor in scheduling his/her time. Mention proper contact details then be it email or a phone number. Most importantly, set a due-date for the RFP, so that you will get a timely response. Also professionals do not take such projects seriously which do not have a due-date. After all if you don’t have it on your priority then who else will? … and if your goal is to describe how you’ll improve your client’s online presence or site, you’ll need a web design proposal that can speak for itself. This might seem like a big task if you’re starting from scratch. Fortunately, you don’t have to because HubSpot has recently launched a template library and included a free web design proposal template. Instead of giving you examples, here’s a small and to-the-point template that you can use to create a request for proposal for your website design project.